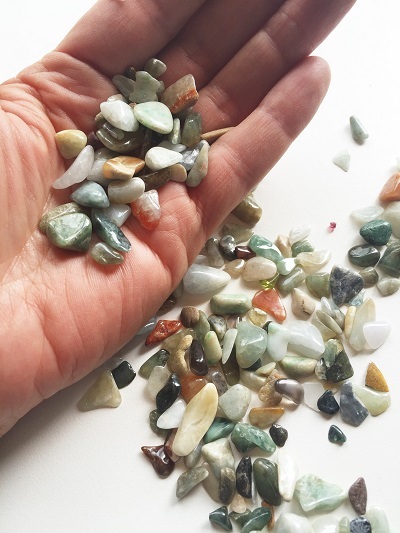 Beautiful softly hued green and earth toned colored Jade smaller sized tumbled stones. Jade is the symbol of purity and serenity. Jade signifies wisdom gathered in tranquility. Jade increases love and nurturing. Jade is a protective stone, which keep the wearer from harm and brings harmony. Jade is believed to attract good luck and friendship. 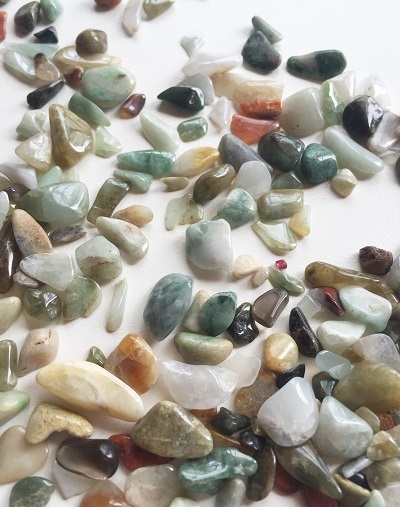 Jade releases negative thoughts, stimulates ideas and makes tasks seem less complex. 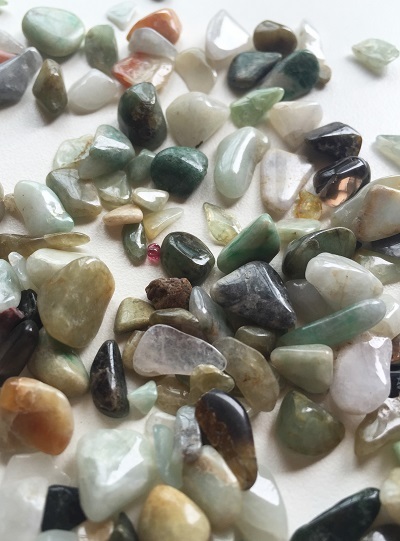 Jade calms the nervous system and channels passion in constructive ways. Jade may be used to help harmonize dysfunctional relationships. In healing, Jade treats the kidneys and supra-adrenal glands, removes toxins, rebinds cellular and skeletal systems, and heals stitches. Jade is a cleansing stone, aiding the body’s filtration and elimination organs. Jade is the stone par excellence for the kidneys and the spleen. 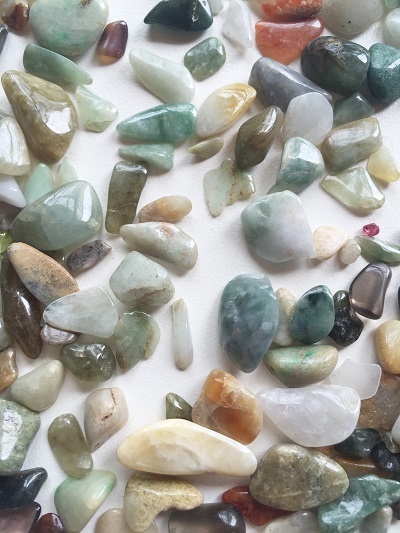 Jade's feminine energetic vibrations are supportive of fertility, child birth, and healing the hip area. Jade balances the fluids within the body and the water-salt/acid-alkaline ratios.